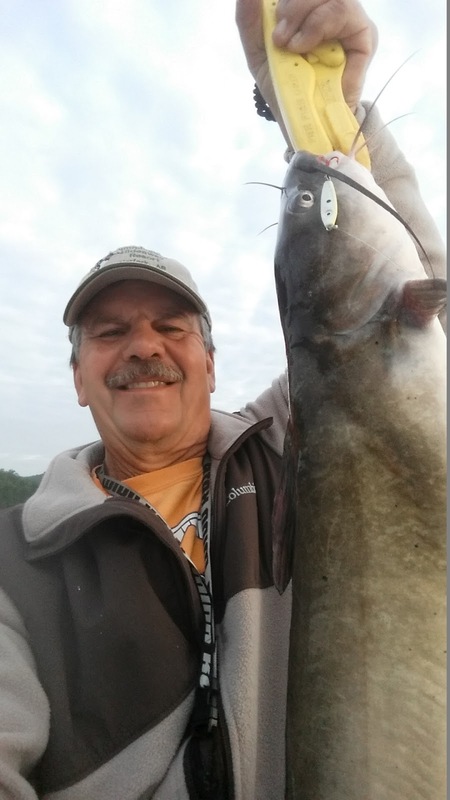 Norfork Lake's summer fishing pattern is winding down, but still trying to hang on with the hot weather we're having this week. If the future weather forecast has any validity, I predict that the fish will start to move more into a normal early fall pattern sometime next week. Hopefully my prediction is more accurate than the weather forecast usually is. hahaha! What I am trying to say is that the striped bass will soon migrate from the dam area and head northward toward cooler water, the larger slab crappie will start to move back into the brush, and the bass will start to feed more heavily in shallower water. 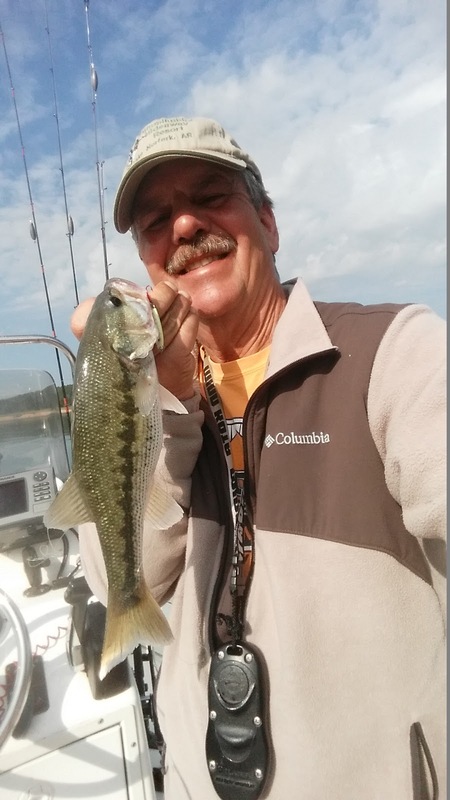 Currently the best bite for striped and hybrid bass is still located close to the dam and the fish are deep, from 60 - 80 feet down, either on the bottom or suspended out in the deep river channel. I fished by the dam area on Monday the 17th and had a great day of fishing. Live bait is working the best, but vertical jigging with a spoon is also catching a few fish. Trolling an umbrella rig or a large swim bait is also picking up some nice fish, but you need to get your bait down below the 50 foot mark. 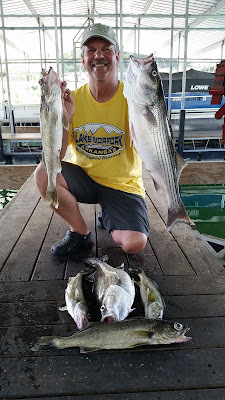 I had a good day of fishing this morning for spotted bass and white bass. The medium size whites have schooled up on large flats. Early and late in the day you can find schools of fish from 12 - 25 feet of water. I was vertical jigging a 1/2 ounce spoon and catching one after another. The big jumbo whites will move onto these same flats as the water cools. At sunset you can find schools feeding on the surface. I found quite a few nice size spotted bass this morning while trying to find big crappie. I was jigging a 1/4 ounce spoon in and around brush piles. The spots were towards the bottom of the brush with a lot of small crappie and white bass on the tops of the brush. I also had a big battle with a 12 pound blue cat. This cat hammered my little spoon and I thought I was snagged at first, then he started to swim. 15 minutes later he gave up and came to the surface. I only have 4 pound test monofilament line on my reel with an ultra light rod. It was really fun. I was grinning the whole time during the fight!